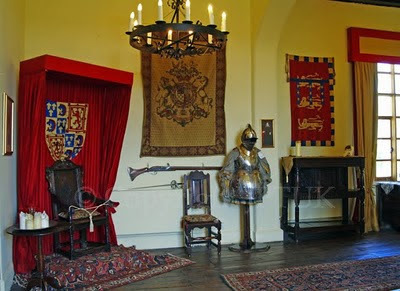 Lesley Smith curator at Tutbury castle holds an Honorary Degree for ‘Services to History’ and has authority on the subject. 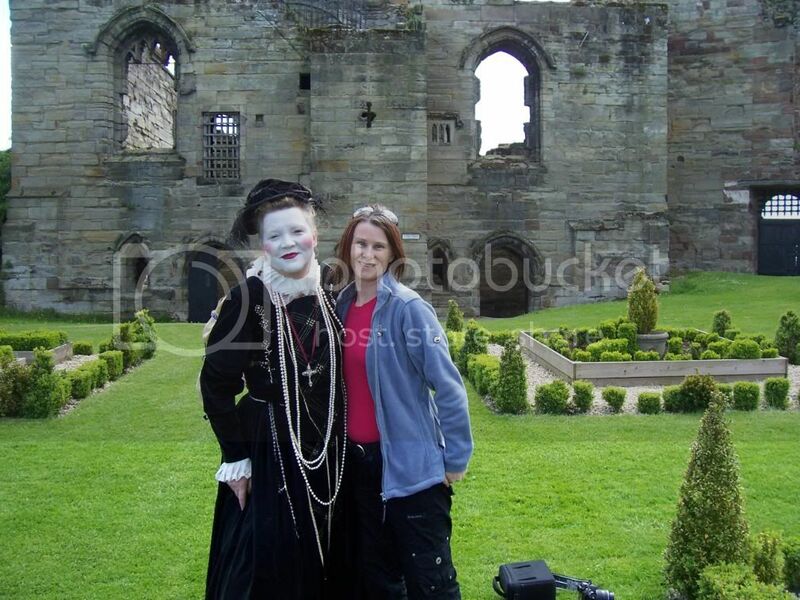 She has also appeared on many TV programmes including Most Haunted. 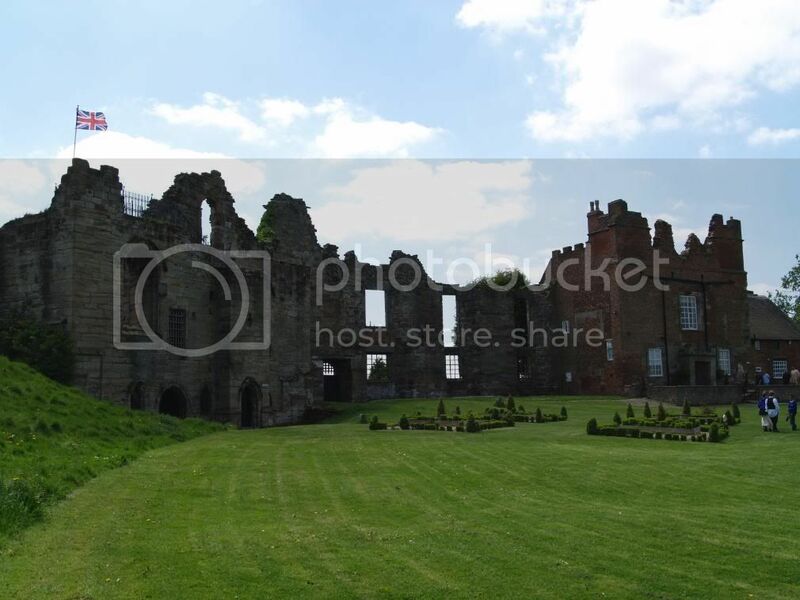 A morning at Tutbury Castle. We traveled down to Tutbury Castle in Staffordshire on the 14th May 08 which was only a short drive as we were staying in Dovedale in Derbyshire for a few days. It was a glorious morning. As we walked up the long driveway to the castle I spotted Leslie Smith who is an authority on history the curator in the distance. My other half and the Spizzy continued to walk around the grounds whilst I took a few shots of the castle while I waited to get Leslie's attention, she saw me with the camera and waved me over to her. We had a chat about the castle and my last experience in the King's chamber, I told her that I nearly fainted in there whilst she was doing a talk (I have never fainted in my life) I took a deep breath as I didn't want to embarrass myself in front of a lot of people. Leslie wasn't surprised as it had happened to many in there, although I could have just had low blood sugar or something who knows! Apparently there is a vortex where the spirits come through and I was stood right in it, well, I am not sure if that is just silly. We chatted about her myspace blog, she remembered me from which was amusing as she grabbed my hands and said, 'I know you! You're Jules, spelt J.U.L.E.S hehe well I never!.. then she spotted my better half and the dog and she continued to pat him on the head (the dog not my hubby lol) then she asked if I watched Most Haunted and how she was really excited working on the show and to watch series 11 because a chair moved that was next to her. Then she did a couple of poses for me in-front of the ruined castle, one I missed of her looking menacing because my sodding flash card was full, well at least I remembered the card, I don't always. I told her that I wouldn't keep her as she was a busy lady but she told me it didn't matter which was nice of her. She then said to go take a look round the castle and that she would open up the Kings bedroom for me, but I didn't go in, I was too scared! what a wuss!! I continued to take photos around the castle and was amused to find a man hanging in the undercroft. I didn't spot the ghost of Mary Queen of Scots and I didn't bump into John of Gaunt who likes to jump out at people, nor the little boy who sits on the stairs in the Kings chamber. The last nightly visit to the castle will stay in my mind for a long time to come. On a previous visit I had felt sparks of energy as Leslie walked past me, apparently this was a common occurrence, but I put it down to static electricity from her dress, but I've read that other people have experienced the same thing too. A friend photographed something white on camera, I do have a photo of it but image doesn't belong to me so I wont be adding it to the site. Some say it is a vortex, but it looked to me like the camera strap, who knows! 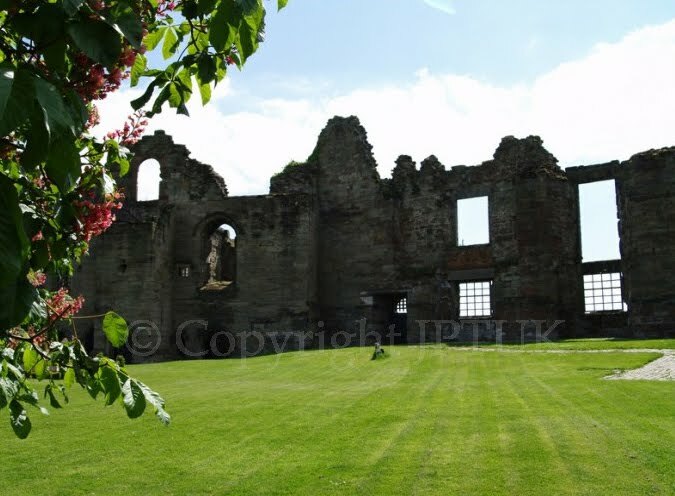 Tutbury is one of my favourite haunted places. Leslie naturally posed for me, she seemed used to the attention. Seen stood looking out of the window of the great hall all in black. Seen rapidly crossing the grass. Area of haunt: Around the north tower.